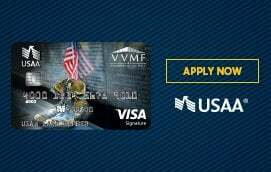 VVMF takes an active role concerning the physical needs of the three acre site on which the Vietnam Veterans Memorial rests. 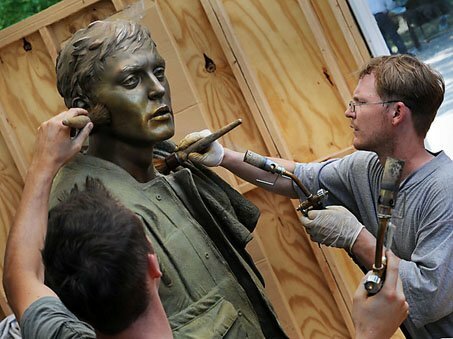 VVMF partners with the National Park Service (NPS) to care for The Wall, the Three Servicemen Statue, the flagpole, and the In Memory plaque. On an annual basis, VVMF inscribes new names on the Memorial and makes status changes for those whose remains have been identified. 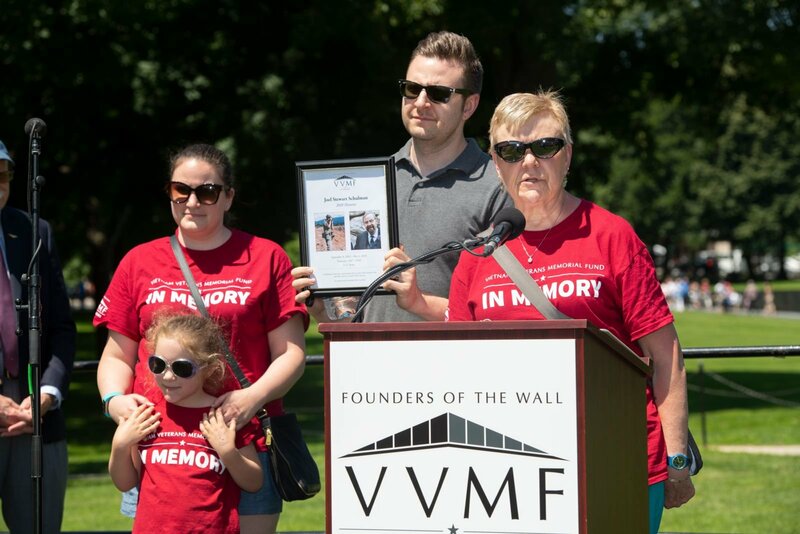 VVMF provides nearly one hundred Memorial volunteers with the necessary supplies to continue their work, including the printed Name Directories at The Wall and name rubbing materials. These name rubbings, provided free to the public, give individuals a special remembrance of the Memorial. 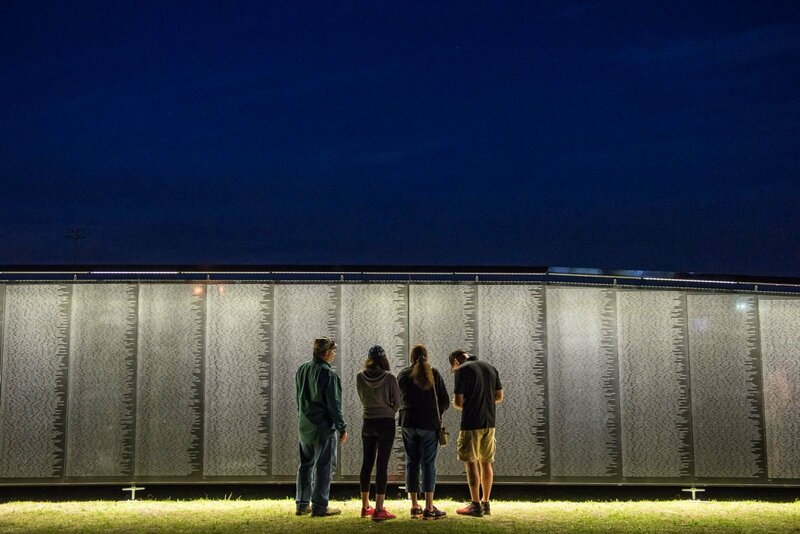 The Wall That Heals mobile exhibit features a three-quarter scale replica of The Wall in Washington, D.C. The exterior sides of the trailer that carries The Wall That Heals open to become a mobile Education Center. Information cases display photos of service members whose names are found on The Wall and In Memory program, along with items representative of those left at The Wall in D.C. It also includes a timeline of the Vietnam era and the war. The mobile exhibit has provided thousands of veterans and their families who have been unable to cope with the prospect of facing The Wall to find the strength and courage to do so within their own communities. Since it was unveiled in 1996, it has visited nearly 600 communities throughout the nation, spreading the Memorial's healing legacy to millions. 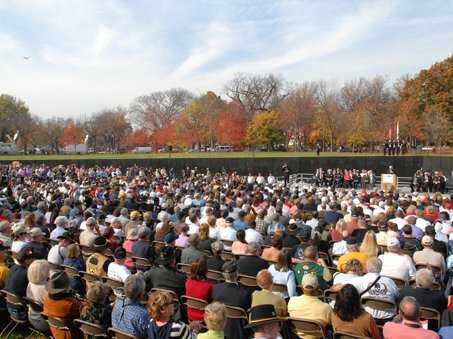 Each year, VVMF holds several ceremonies at the Vietnam Veterans Memorial to help carry out its mission to honor those who have served and sacrificed for our country. Ceremonies on Memorial Day and Veterans Day draw thousands to The Wall and allow the public to remember and pay tribute to friends and loved ones whose name are inscribed on the Memorial as well as those veterans who returned home. 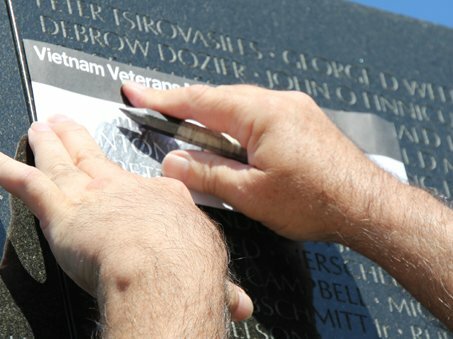 VVMF’s In Memory program honors Vietnam veterans whose lives were cut short as a result of their service in Vietnam, but are not eligible for inscription on The Wall under Department of Defense guidelines. Examples of causes of death that fit the criteria for inclusion in the program include: exposure to Agent Orange, PTSD/suicide, cancer, diabetes, and heart attack. The plaque that honors these veterans was dedicated as part of the Vietnam Veterans Memorial in 2004. 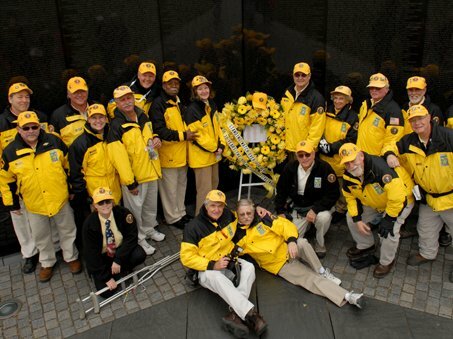 In Memory began in 1999 and has since honored more than 3,600 veterans. The Vietnam War is one of the most divisive moments in American history and many educators experience difficulty teaching it in their classrooms. VVMF develops and distributes comprehensive and balanced education materials that help students learn about the lasting impact of the Vietnam War, while reinforcing history, civic engagement, writing, and other interdisciplinary skills. To explore our interactive timeline, see our curriculum guides and other educational materials, go to: www.vvmf.org/education. 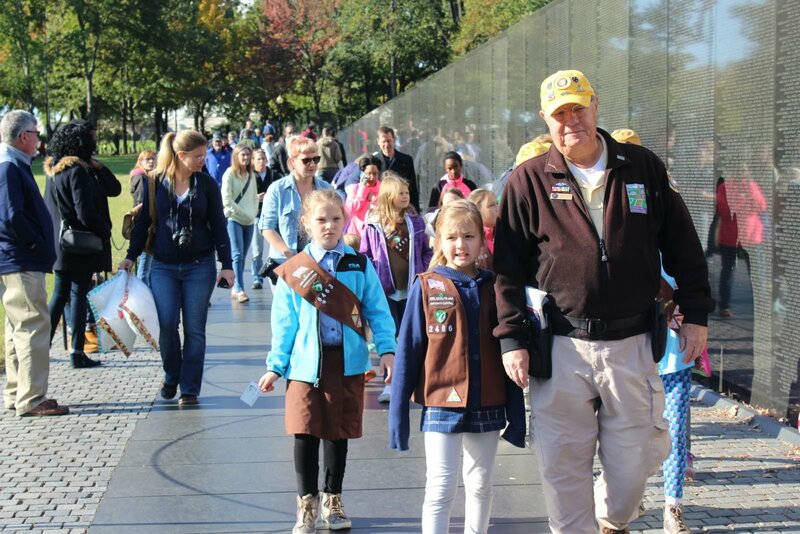 To ensure that current and future generations never forget the impact of the Vietnam era. The Wall of Faces is an effort to connect a face and a story to each name on The Wall. 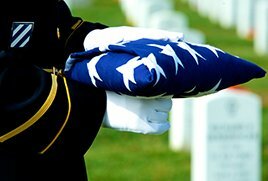 The names of more than 58,000 service members are listed on The Wall and there is a face and a story of a life cut short behind each one. 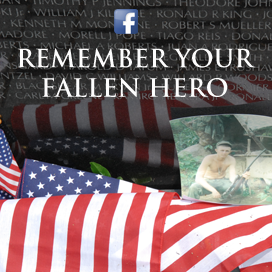 VVMF is committed to finding a photo to go with every name on The Wall to further preserve the legacy of those who sacrificed all in Vietnam. 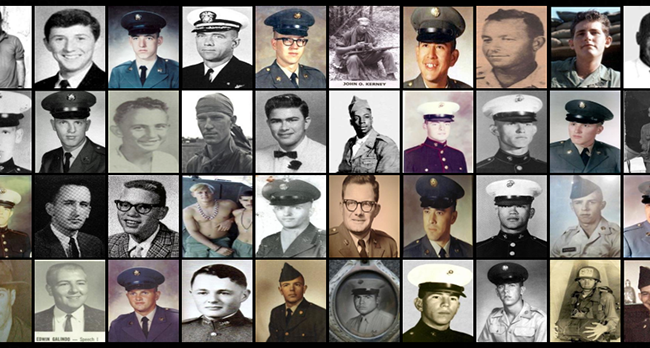 Collected photos are displayed online at VVMF’s Wall of Faces which features a page for every person whose name is on the Memorial. These pages allow family and friends to share memories, post pictures and connect with each other. To see the Wall of Faces, go to: www.vvmf.org/thewall. Providing nearly 100 Memorial volunteers with the necessary supplies to continue their useful work of honoring, healing and educating, and hosting an annual appreciation luncheon for these dedicated individuals. Providing free name rubbings to the public. These name rubbings help individuals who can't physically or fiscally make it to The Wall to have a special piece of the Memorial.